Time out in the morning for coffee and retail therapy with a BFF. Time outside in the afternoon to rescue a few of our grass trees from the evil Black Eyed Susan. Made a mess of the sun dial – but I’m out of time! 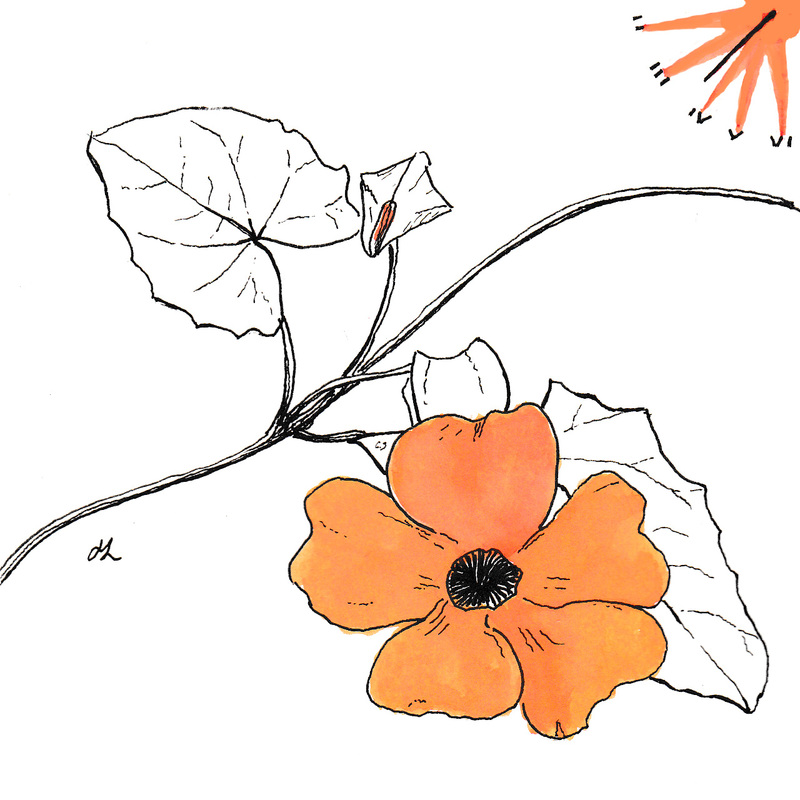 This entry was posted in All Posts, Balligar Weeds, Inktober 2017 and tagged #Inktober, #Inktober2017, Black Eyed Susan, Ink, Pen, Perth Hills, Western Australia on October 14, 2017 by Helen.